I have updated the original periodic table of the elements. You can download the PDF file of the table on the following page. You can get it free. 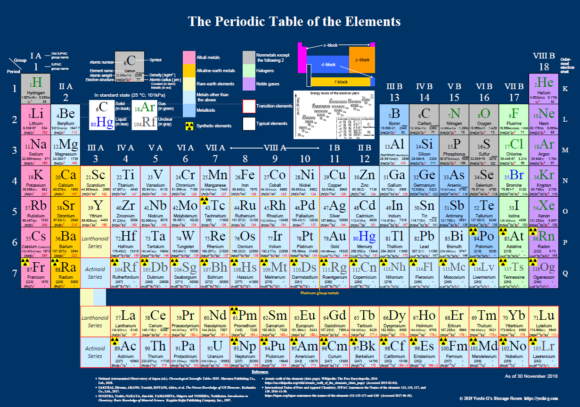 Atomic weights of some elements were changed according to the latest version of Japanese “Chronological Scientific Tables 2019”. Minor modification of some parts of colours to be more easy-to-read.